Nigerian rapper, Falz who was threatened with a lawsuit by a Muslim group, MURIC , in a new interview reacted to the seven-day ultimatum to take down ‘This is Nigeria’ video. 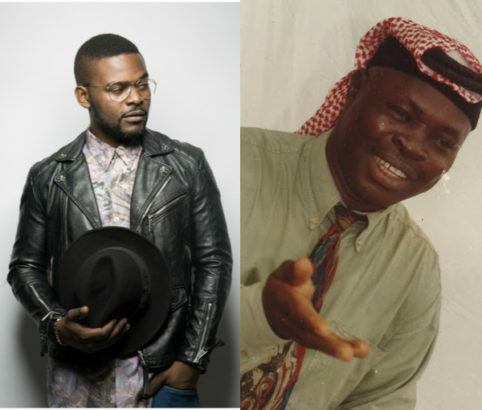 According to Falz in the interview with Punch, the Muslim Group’s threat is baseless, as the girls in hijab dancing ‘Shaku Shaku’ symbolizes entertainment being a distraction from everything that is happening in the society. He further added that he also addressed pastors and corruption in the video, noting that MURIC had no case against him. ”I spoke about other issues like insecurity, corruption, and I even talked about pastors. No Christian has come out to say that it is a hate video; so what is MURIC talking about? I do not really understand them. “I was dancing as well in the video and the dance was symbolic. The dance was symbolic of entertainment being a distraction from everything that is happening in our society. Shaku Shaku is the most popular dance step in Nigeria and it is currently in vogue; it is pretty clear that with all that is happening, everyone is embedded and carried away with the dance culture. I was just trying to say that everyone is too carried away with entertainment that they seem to forget all the things that are happening right in front of our faces” Falz said. “I feel it is very funny because there is no cause of action, to be honest. There is no law that is against young ladies dancing in hijab. There is absolutely no basis for a legal action, I mean, people dance in hijabs all the time in movies and parties. In fact, designers have made sportswear that have hijabs, so why are they not saying that is a disrespect to the religion? I think it is a baseless allegation.